Hello! 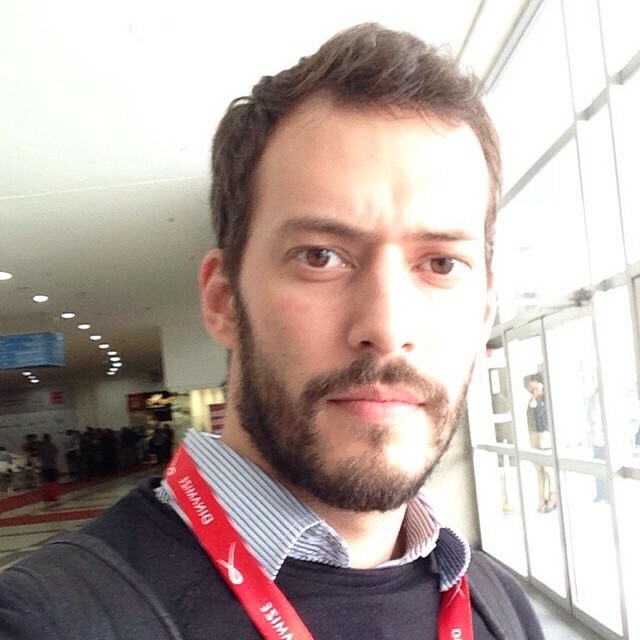 My name is Nelio Carneiro Junior and I’m a brazilian software engineer with more than 7 years of experience. Currently living in Warsaw, Poland. I’m graduated in Computer Science at University Federal of Goias. However, my history with computers has began a long time ago and I still remember it clearly when was that. The first time I saw a computer was with my father and he was playing Doom (yeah! that epic game) and I admit I got more scared than curious about it. It didn’t catch my interest. At that time (around 1993) computers weren’t that popular (at least not in Brazil). But a litte bit later, when I was only 7 years old, something really got me. I was at my friend’s house and he asked me if I would like to play a game in his computer. As I said yes, we went to the computer and after turn it on he started to type some commands in a black screen and then the game just shown up. From that day on I got a bit crazy about computers even though I earned my first computer several years later than that. In 2005 I started my college graduation in Computer Science and I got my bachelor title in 2010. At the beggining of 2015 I was invited to go to the ecommerce team - eFacil. My new role was to help the marketing area to achieve better results and also I was the responsible for the mobile development through the mobile web version and apps. In the meantime I started a side project called SuperFax which is still alive. Is a Ruby on Rails web app to send faxes over the internet as easy and simple as possible. I’m a really enthusiastic of open source and I’ve been making some contributions. Mainly Ruby projects. I used to play acoustic guitar quite often and also basketball (I take it serious though). Because of my religion (Espiritism) I’ve done volunteer jobs since I was a kid. This experience has been a big thing in my life and has shaped my thinking towards helping others and on search for self improvent. I talked more about it here. Feel free to reach out to me on my email or on twitter.